The propagation of information through the nervous system depends on rapid changes in the electrical potential across excitable cell membranes and the generation of action potentials--the fundamental unit of neuronal communication. Changes in membrane potential occur when ion channels--pore-forming membrane proteins--open to facilitate the passage of specific ions (e.g., Na+, K+) across the cell membrane in response to a stimulus. Defects in ion channels can lead to a wide range of diseases of the nervous system. 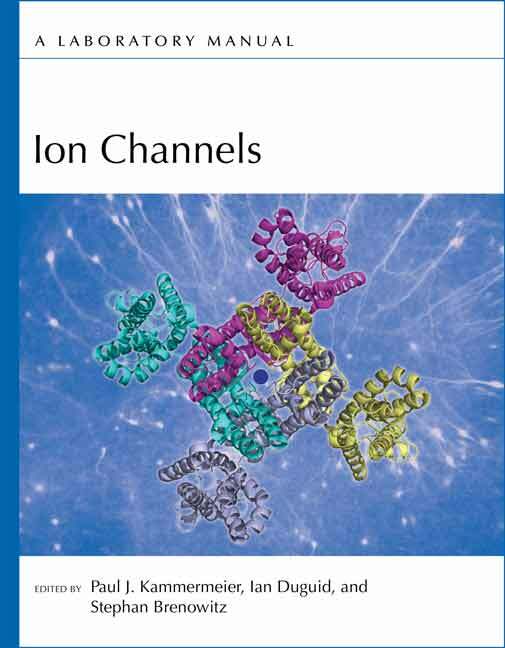 Ion Channels, just published by Cold Spring Harbor Laboratory Press, provides state-of-the-art techniques for investigating ion channel properties and function, particularly in the nervous system. Contributors present electrophysiological methods to examine single-channel activity in cultured cells, to study synaptic plasticity and circuit dynamics in brain slice preparations, and to perform whole-cell recordings in awake and freely moving animals. The use of optogenetic tools to study cellular and circuit dynamics in organotypic slice cultures is also covered. Many of the protocols can be adapted for other ion channels, cell types, and experimental preparations. The book includes background on the structure, function, and regulation of different voltage- and ligand-gated ion channels. Therefore, it is a useful resource for all cell biologists and neuroscientists seeking to further understand the complex roles of ion channels in physiology and disease.